Quail Hill Publishing, 9780615992914, 248pp. "North American Book Award recipient in Mystery" When San Francisco Homicide Inspector Rebecca Mayfield arrives at the scene of a deadly shooting, she's shocked to find that the witnesses have caught the killer, and that he's someone she knows. 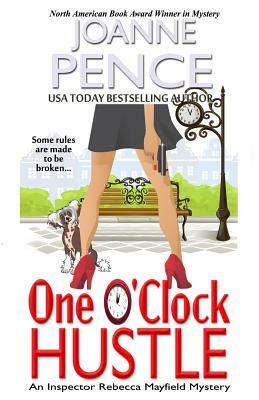 Rebecca's a by-the-book detective, and she's always done her job according to the rules, without hesitation ... until Richie Amalfi comes back into her life. Richie knows his way around everything and everyone in his city. When people say they "know a guy who knows a guy," Richie's the guy they're talking about. He can usually help people out of tight situations, but suddenly finds he can't get himself out of hot water when he's accused of murder. Richie's on the run, and he runs straight to Rebecca to help him prove his innocence. From the nightclubs of North Beach to the scenic heights of Twin Peaks, dangers lurk and more deaths happen. As Rebecca discovers there's a lot more to Richie than she thought, and a lot more to like than she imagined, she soon fears not only for her life, but also her heart.